Age UK is a not-for-profit organisation whose origins can be traced back to the 1940s, when the National Old People's Committee (NOPC) was founded. The organisation became a charity in 1971 and was renamed Age Concern. From that point onwards, this charitable organisation has carried out lobbying, research, and training tasks nationwide with the objective of helping the elderly make the most of their lives. Age Concern merged with Help the Aged in 2009, and subsequently the charity changed its name to Age UK. Nowadays, Age UK runs more than 500 charity shops all over the country, where volunteers can get involved and support the charity's goals. It is also possible to volunteer at Age UK's head office in London or by taking the role of activity buddies, day centre helpers, swimming monitors, IT coaches, drivers, or bereavement visitors. Age UK also organises sports challenges like the Brighton Marathon and the London Triathlon. Find out more volunteering opportunities at www.ageuk.org.uk/get-involved. Friends of the Elderly is one of the oldest not-for-profit organisations devoted to improving the lives of senior citizens in the United Kingdom. This charitable association was established back in 1905 as The Church Army League of Friends of the Poor. This organisation began to focus on assisting the elderly during the mid-1940s, opening a number of residential nursing homes and providing home support to the frail. In 1972, The Church Army League of Friends of the Poor changed its name to Friends of the Elderly. Since the very beginning, this organisation has been giving one-off grants to people aged 60 and over who are in need of financial assistance. The charity also works to avoid fuel poverty with its Winter Comfort Fund. In addition to running care homes and day clubs, Friends of the Elderly runs home support services and offers specialist support for dementia patients and their families. According to this charity, more than 1 million older people need urgent help in the UK, so volunteers are welcome to help by becoming a Phoning Friend or by visiting the elderly in their own homes. To learn more about how to become a volunteer befriender with Friends of the Elderly, visit www.fote.org.uk/work-for-us/volunteer-with-us. Independent Age was founded in 1863 as a voluntary society whose objective was to offer support to elderly people who lived on a low income. Since it was first founded, Independent Age has worked to reduce the numbers of elderly people who are declared destitute. This charity has also supported the role of the NHS by opening residential homes and by running follow-up programmes for elderly patients who have been recently discharged from hospital. 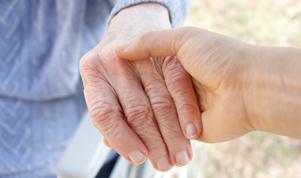 Independent Age also recognises the needs of those who live in isolated locations, and therefore provides timely advice and support by e-mail and phone and arranges regular home visits. To become part of Independent Age's network of volunteers or to find out how to organise a Big Tea event, visit www.independentage.org/volunteer. The NBFA has been providing assistance to elderly people who live on the poverty line since 1957. The charity's Break Away programme helps those in need break the circle of loneliness, depression, and limited social interactions thanks to multi-day outings that are designed to tackle social exclusion. Moreover, the NBFA helps elderly people who have mobility or financial problems obtain pain relief equipment and check-and-go handsets that can enhance their quality of life and give them peace of mind. To find out more about this charity and about the volunteering opportunities that it offers, visit www.nbfa.org.uk/volunteering. As part of the world's largest and most well-known humanitarian organization, the British Red Cross has a long history of supporting the elderly achieve better living standards. This charitable organisation was founded in August 1870, and it has since expanded its size and scope to offer assistance to individuals who are in urgent need of health and social care programmes. The main mission of the British Red Cross is to help vulnerable individuals recover from crisis and emergencies with the support of compassionate and dynamic volunteers. Throughout Britain, the Red Cross helps the aged achieve independent living by offering transport support, wheelchair loans, and help with shopping and household chores. Volunteers play a crucial role in the successful completion of every Red Cross project. Those interested in helping out the elderly can volunteer by offering support and companionship at home, becoming volunteer escorts, or training in order to gain therapeutic massage skills. The British Red Cross also welcomes the efforts of fundraisers and organises events all over the UK to collect funds for their elderly programmes. You can find out more about events in your local area by visiting www.redcross.org.uk/Get-involved/Events.